Shutters of San Mateo has been providing high quality custom interior and exterior wood shutters to the Bay Area, and beyond, since 1955. Our products have always been, and will continue to be, handcrafted in the United States. 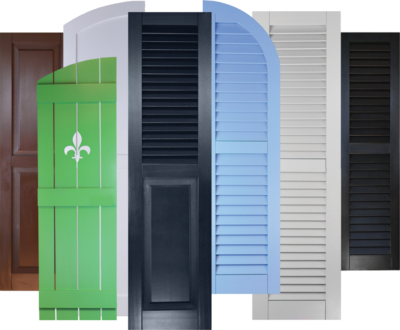 Why Choose Shutters of San Mateo? Our knowledge and expertise in all aspects of custom shutter fabrication and installation insures a professional and high quality product. As a custom shutter shop, we can accommodate any desired look, whether residential or commercial. We offer designer and architectural support. Ed Arceo has been in the woodworking trade for almost 40 years and have been a finish carpenter for over 30 years. In 2000, Ed started working for Shutters of San Mateo as a installer for interior and exterior shutters. Over the past 20 years, Ed has worked with builders, decorators, contractors and residential home owners and have gained tremendous experience and knowledge in the field. Recently, Ed took over the business and is expanding his services to the East Bay. Ed does not believe in being a sales person, rather educate his clients and let them decide on what is best for them.